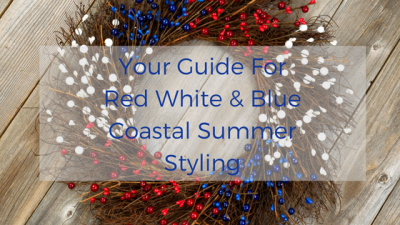 Hello and thank you for stopping by to read our Red White and Blue Coastal Blog! We are so happy you are here! Memorial Day is the unofficial start to summer and everybody is looking forward to getting outdoors, hitting the beach and of course, decorating with red white and blue! 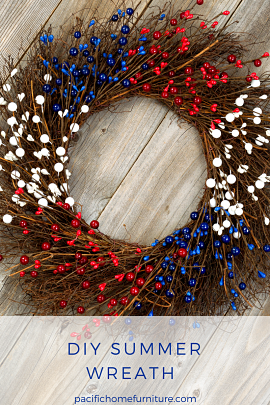 Pacific Home Furniture has plenty of ways to get your summer started with our red white and blue blog. 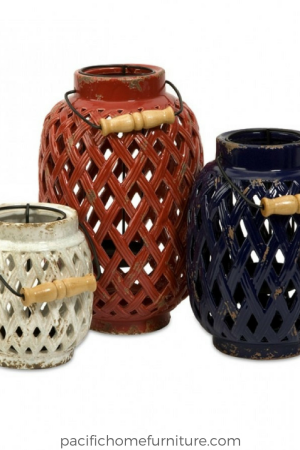 Light up your outdoor space or the beach with our Bailey Lattice Lanterns. Let us know how you would use them! 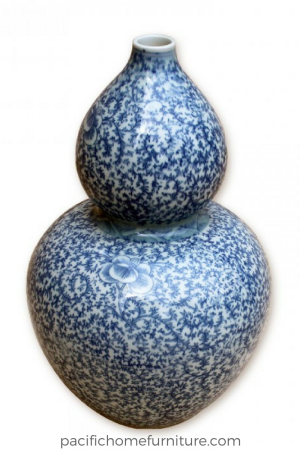 Our blue and white Floral Gourd Vase is not only trendy, but timeless. This is a customer favorite and will be a standout in the entryway or any place in your home! Change out your artwork with the seasons. This piece is fabulous for refreshing your mantel for Summer. 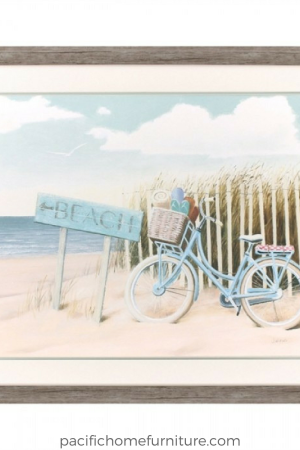 It may not be red white and blue, but it has those summery vibes of lazy days at the beach! 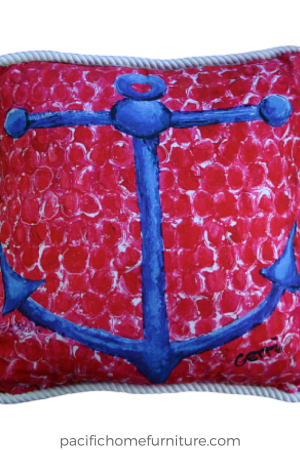 Anchors Away with this Red White and Blue Pillow! Several of these will bring a nautical feel to chairs or your sofa! Trimmed in a nautical braid. 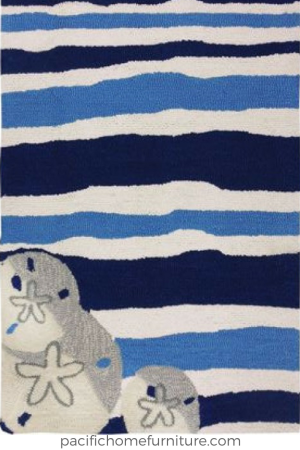 A beautiful navy, cobalt and white striped rug with adorable sand dollars will be a conversation piece this summer when you add this coastal rug to your floor! Select from 4 different sizes. A Red White and Blue DIY Nautical Flag Wreath is what every front door will need for the summer season. (Not what you see in the the above image. Their wreath is so much better.) Our friends at Living Porpoisefully are the designers of this fabulous wreath! Coastal Guide for Summer Fun! 1. Summer can be so busy be sure to schedule on purpose time for family! 2. Spend the early mornings for your self to relax and get inspired for your day! Don't forget how important you are, so find time to pamper your self. 5. Make a Lemonade Stand with the kids. 6. Look for Shells on the Seashore to add to your Collection. 7. Watch a Sunset on the Beach. Thank you for taking the time from your busy schedule to read our coastal blog! We always love to hear from you. You can reach us by commenting on this blog post or here at contactus@pacifichomefurniture.com. Don't forget to sign up for our mailing list to get 15% off your next order!